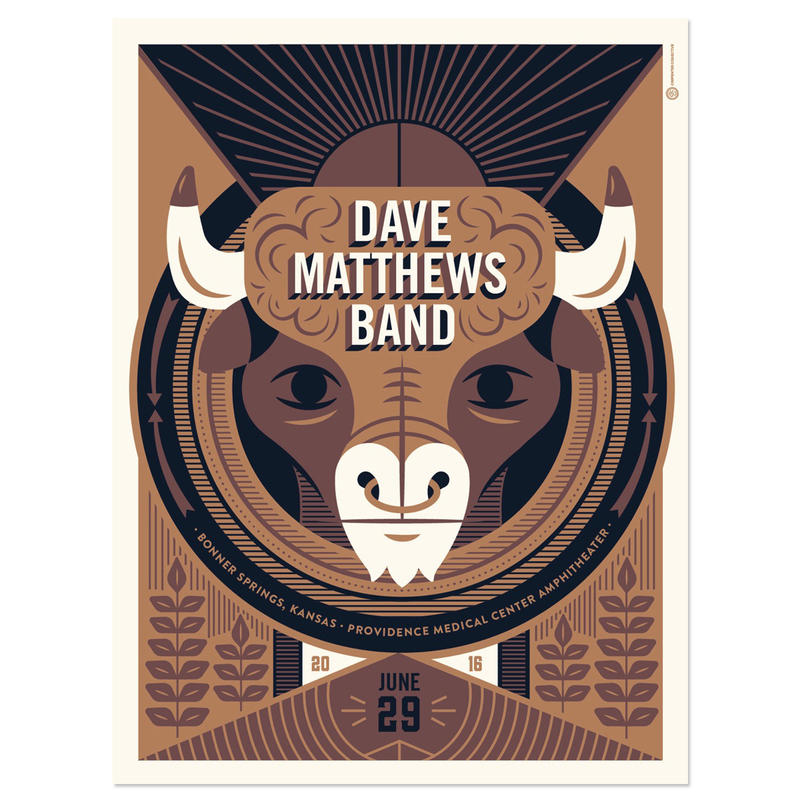 Limited Edition show poster from Dave Matthews Band's show at Providence Medical Center Amphitheater in Bonner Springs, KS on June 29, 2016. 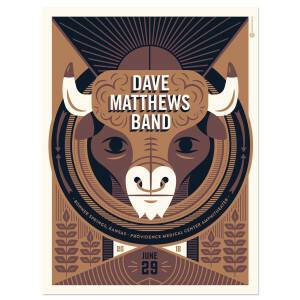 Poster designed by Tad Carpenter. 18”x24"